I spoil you with freebies and e.l.f. spoils you with affordable cosmetics. I’m so excited to share this giveaway with you because all of my readers win! I’ve got an exclusive coupon code to give you 50% off any purchase at e.l.f. Again I’m giving one of my lucky readers this fabulous makeup gift pack with a great variety of makeup treats inside ($25 value) to introduce them to e.l.f. products for free. Get half-off any purchase up to $15 at e.l.f. with this exclusive coupon code that is just for my Freebies 4 Mom readers. This means you can save as little as 50 cents if you buy one $1 item or as much as $7.50 if you spend $15 or more. You can only use this coupon code once, so for other coupon codes to try please visit the e.l.f. coupon codes list at RetailMeNot. I was able to use ECFLIPS on my order to get four free lip products with my $10 purchase. Wow! Your affordable makeup just got more affordable thanks to e.l.f. (and me). I got 15 items for $7.50 from e.l.f. Please excuse my excitement because I had so much fun shopping for myself and wanted to share the wonderful products I discovered after a few hours of browsing. I added $15 worth of products to my cart and then took $7.50 off with my special coupon code 4Mom. Shipping was $6.95 so my total order was $14.45. So I got everything for half-price and then paid a reasonable shipping cost. I just can’t believe that I purchased these 15 products for under $15 shipped, but it’s true and you can get the same deal if you need some new makeup too. The email addresses that I collect for this giveaway will only be used for the purpose of contacting the winner, and will never be given to anyone. This giveaway will close Sunday, August 30 at midnight (CT). I’ll announce the first name of the winner in a new post the next day and contact the winner by email. I will draw the name of the winner by using the random number generator at Random.org from the eligible entries received. If a winner does not contact me within 48 hours by email, I will draw a new winner. This giveaway is only open to residents of the United States who are 18 years of age or older. The winner will receive their prize by mail directly from e.l.f. Cosmetics. giveaway only once per household. Email me if you have any problems seeing or submitting this form.If you’re reading this in your email, then click on the title of this giveaway post to access the form. Thanks for entering and come back after Sunday, August 30 to find out who won. Freebies 4 Mom Giveaway Disclosure: e.l.f. sponsored this giveaway by providing a gift set to give away. e.l.f. also gave me the same gift set so that I may try their products first-hand and share my honest opinion with my readers. My product reviews are an expression of my own honest opinion based on my experience trying the product, and are not reviewed or edited by e.l.f.. I love the duo eye shadow cream as well. 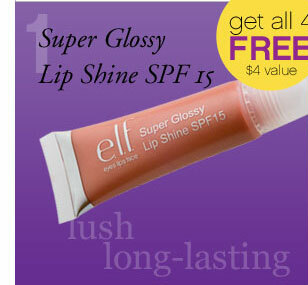 It can be hard to find a color that goes with my skin, and ELF offers great pairs that look great with my complexion. I've never tried Elf products before and would love to. Thanks for the great product information. I have never tried ELF and am looking forward to giving the brand a try. Should be fun…Thanks. I just placed an order this week to try them out. I was amazed at the low prices of the makeup. I can't wait to try it. I plan to give some of it for a Christmas gift for my teenage niece. 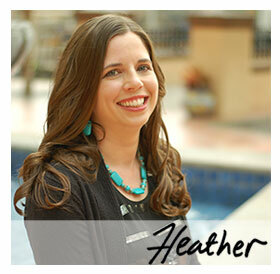 Thanks Heather for the coupon codes. I even got cash back with my ebates account. I've never tried e.l.f. cosmetics, but I would definately love to try them! I'd like to try the brightening eyeliner! I have never tried the ELF products but am looking forward to treating myself. This is a great way! Thanks so much for your great blog, I look forward to your email everyday. I really like the "Beautiful Browns" eyeshadow kit & the eyeliner pens! I haven't had a chance to try ELF makeup yet but I am a makeupaholic and would LOVE to win the giveaway! Thanks so much! I ordered from ELF for the first time about a month ago. I was very pleased with all my products. And you can't beat the prices. I haven't tried e.l.f products yet, but I do enjoy trying new beauty products. I'd love to try the lipstick. I love a good lipstick! I love e.l.f Makeup! Thanks for the giveaway! I've never used elf makeup, but would love to try it all. I especially would love to try the lip gloss and nail polish. love the waterproof eyeliner…easy to apply and remove. You can only use one coupon code per order. I've never used e.l.f cosmetics but I'm always up for trying out something new. I am able to use the 4Mom but not the ELFLIPS in the same purchase.Is there a special way to do this? LOVE ELF makeup have been using it for 3 years now and Im addicted…its awesome!